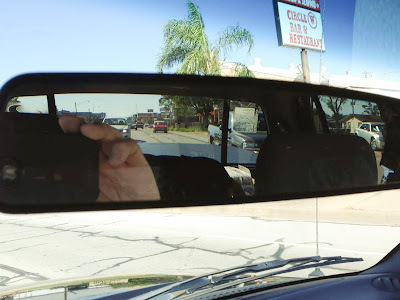 The Life Mechanical: Found on the Move: What's That in the Rearview Mirror? 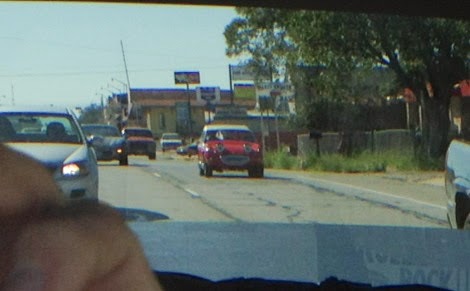 Found on the Move: What's That in the Rearview Mirror? 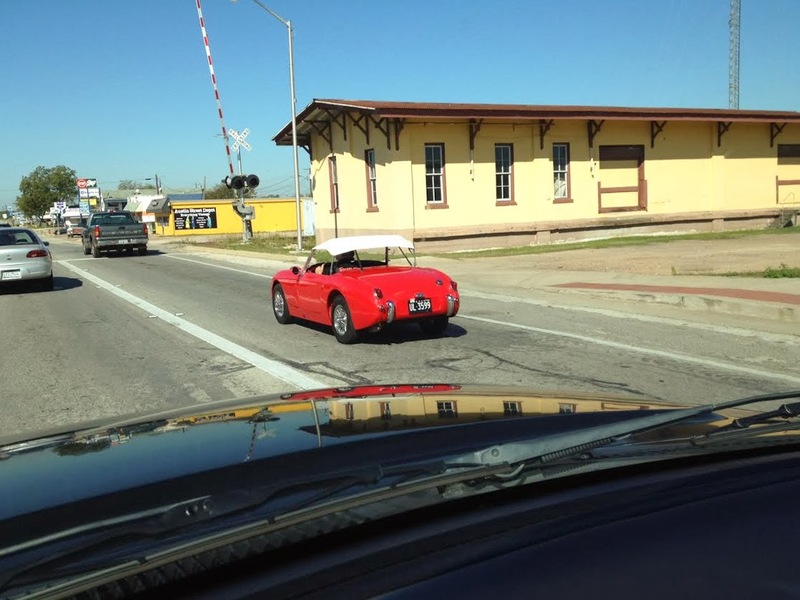 There are very few places in North America where you can drive an open topped car with no side windows in late October. Giddings, Texas, between Houston and Austin, is definitely one of them. 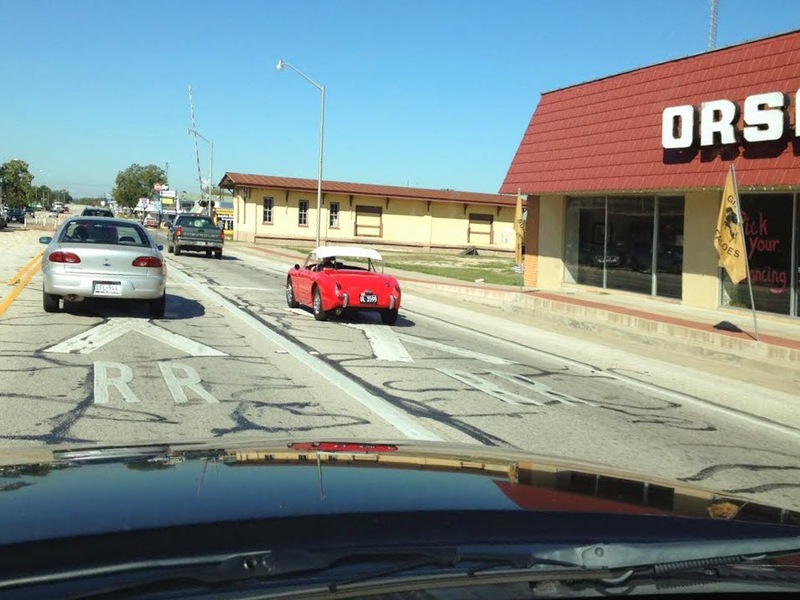 An eagle-eyed motorist caught a glimpse of this tiny red mystery car in his rearview mirror and took some pictures of it as it passed. But what car is it and why is it so happy to see you? 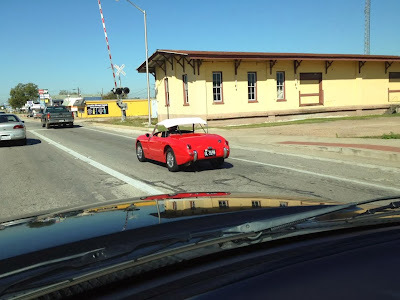 The bright red shrimpy sports car in question is a 1959 Austin Healey "bugeye" Sprite. Manufactured between 1958 and 1961, the jovial British roadster (a true roadster) is a real classic with a hugely devoted following. These cars left the factory powered by a 948 cc (58 cubic inch!) OHV inline four cylinder that popped out 43 horsepower at 5,200 RPM. Though due to most peoples strange desire to achieve highway speeds in under a minute, many have been upgraded with 1,275 cc mills. This photo shows a clearer view of the distinctive front end of the "bugeye." Not too hard to figure out how it earned its nickname. Despite lacking heaters, side windows and exterior door handles, the Sprite was underpinned by a fairly advanced chassis. 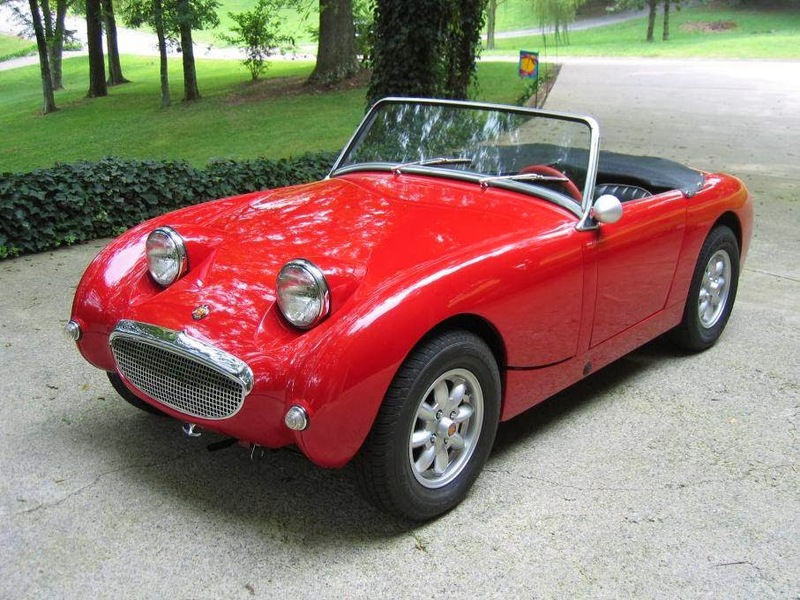 In fact, the Sprite was the world's first mass-production unibody sports car. Look how massive the Cavalier looks next to the Sprite! This gave the car spritely handling in addition to its affordable price and the Sprite became a grassroots favorite among American road racers. These cars are still raced in large numbers and still represent a great value in vintage sports cars. A tuned 948 cc engine can yield up to 70 horsepower and with only 1,460 pounds to pull around, we'll bet it's the most fun you could ever have with 70 horses. So whether you're in Texas or the Territories, it pays to drive vigilant because you never know what might pop up on the road right next to you.